CertiFresh Cigar was printing their tobacco labels on a sheet-fed desktop inkjet printer, which they described as “very limiting.” They needed a professional label printer with greater speed and capability that would produce “the ultimate prestigious image” for their clients’ labels, but was also easy to use, and printed roll to roll. The Memjet-Powered Afinia Label L801 industrial label printer allows CertiFresh Cigar to print high-end, personalized cigar labels, which are placed on specialized, humidity-controlled packaging. 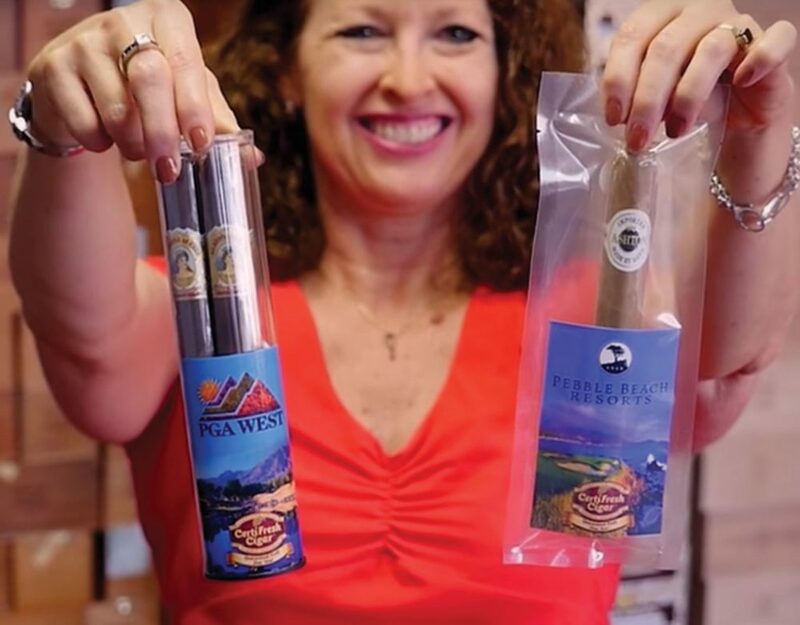 The Memjet-powered Afinia Label L801 Color Label Printer provided CertiFresh Cigar with everything they needed to improve their labels, and save their business time and money. The L801 increased label printing speed to 60 ft/min, and reduced production time by printing labels roll-to-roll, and ready for application. CertiFresh Cigar continues to save with the printer’s low-cost consumables. The return on investment is terrific. The time savings alone is incredible, but the savings with the ink is also substantial. Our tobacco labels have never looked better. CertiFresh was printing labels on a sheet-fed inkjet printer. Now they can easily print to rolls. Labels were limited to being printed on sheet stock.